The eagerly anticipated World launch of the PING G Range of clubs is today! The World's #1 selling range of clubs has had 2 years of development and improvement added! We are delighted to already have the irons and woods with various shaft options to improve your golf, whatever your standard! In the mean time we thought we'd take this opportunity to draw your attention to a fantastic selection of videos well worth watching on our homepage. 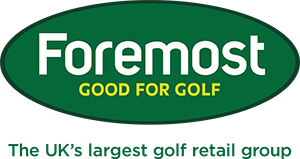 It's not often you get to speak to the key R&D figures at golf's biggest brands, so be sure to check out these interviews with Foremost TV.